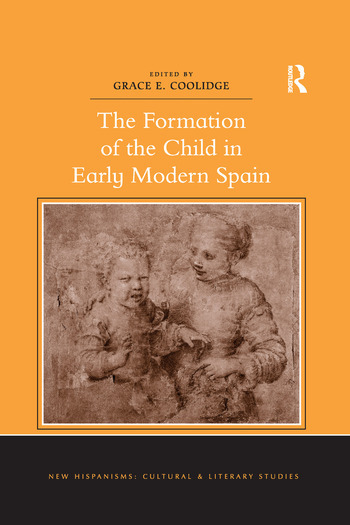 Drawing on history, literature, and art to explore childhood in early modern Spain, the contributors to this collection argue that early modern Spaniards conceptualized childhood as a distinct and discrete stage in life which necessitated special care and concern. The volume contrasts the didactic use of art and literature with historical accounts of actual children, and analyzes children in a wide range of contexts including the royal court, the noble family, and orphanages. The volume explores several interrelated questions that challenge both scholars of Spain and scholars specializing in childhood. How did early modern Spaniards perceive childhood? In what framework (literary, artistic) did they think about their children, and how did they visualize those children’s roles within the family and society? How do gender and literary genres intersect with this concept of childhood? How did ideas about childhood shape parenting, parents, and adult life in early modern Spain? How did theories about children and childhood interact with the actual experiences of children and their parents? The group of international scholars contributing to this book have developed a variety of creative, interdisciplinary approaches to uncover children’s lives, the role of children within the larger family, adult perceptions of childhood, images of children and childhood in art and literature, and the ways in which children and childhood were vulnerable and in need of protection. Studying children uncovers previously hidden aspects of Spanish history and allows the contributors to analyze the ideals and goals of Spanish culture, the inner dynamics of the Habsburg court, and the vulnerabilities and weaknesses that Spanish society fought to overcome. Grace E. Coolidge is Associate Professor of History at Grand Valley State University, USA. She is author of Gender, Guardianship and the Nobility in Early Modern Spain (Ashgate, 2011).